Welcome to our home away from home. 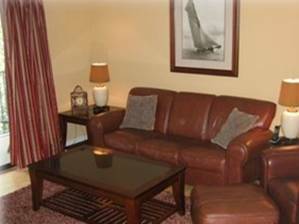 We want to ensure that our guests enjoy all the comforts of home plus some more. 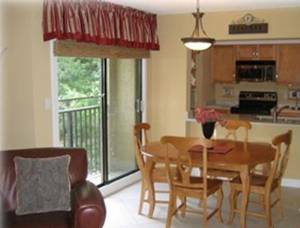 A great deal of time and effort has gone into setting up our condo so that we ensure that you have all your needs met. You'll open the door to a newly decorated home. The kitchen has all upgraded stainless steel appliances with new cabinets. All the conveniences you'd expect in the kitchen I believe you'll find. The bedrooms are all newly furnished. 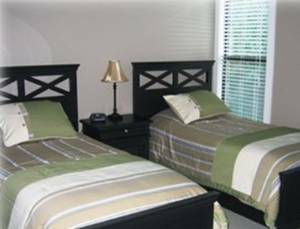 Our twin bedrooms have 2 twin beds, a large dresser, nightstand and a 26" flat panel LCD TV. 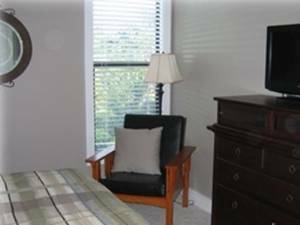 Our guest bedroom has a queen bed with a large dresser, nightstand and a 26" flat panel LCD TV. 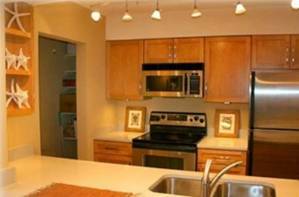 Both of these rooms may share 2 bathrooms, a large full bath and a large 1/2 bath. Our master bedroom is paradise. 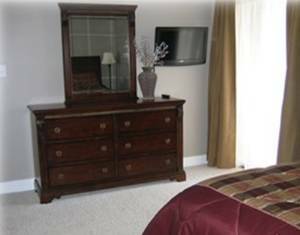 With a new full queen bedroom furniture suite and a 26" flat panel LCD TV, you'll never want to leave the room. The master bathroom has been remodeled to include a state of the art shower, complete with spa sprays, rainfall shower, and hand shower sprayers. 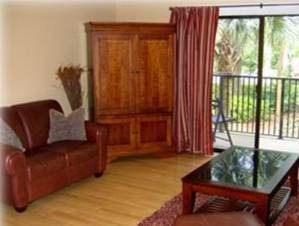 Our living room also is newly furnished, contains a 37" flat panel TV, and looks out on a peaceful lagoon with a fountain. You can sit on the balcony and relax listening to the subtle splashes of water. Because we are an end unit, we have plenty of light in our Condo. There are 3 balconies in total, with the main one off the living room. The master has their own private balcony and a shorter balcony is also off the kitchen area. We have one very unique feature that is rarely seen in condos and that is a state of the art air dehumidifier system. If you're an allergy sufferer, you'll definitely notice a difference in our condo, as the air is very clean and you don't have to worry about any musty smells that you may have experienced in other places you've stayed in. 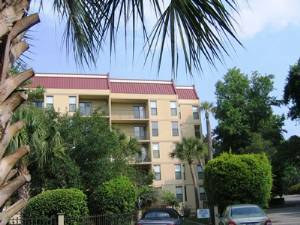 Wireless Internet is available for your use only in our condo.